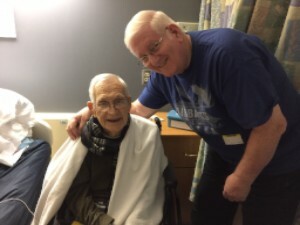 Home/Updates & Newsletters/[Newsletter] To the ends of the earth! NYC, India, & Altoona? 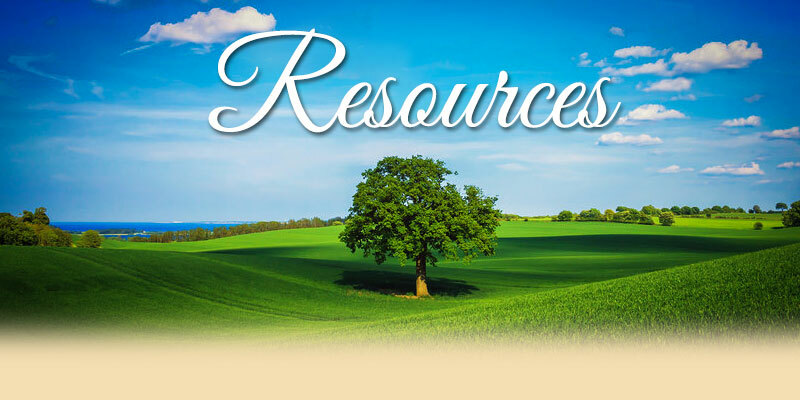 Because of the business of ministry we have not sent a newsletter in a while. Unfortunately, time and space will not allow us to share only a few of the highlights. I had the privilege of teaching a block class at the Bill Rice Bible Institute on Presenting the Gospel Clearly. The students were eager to learn and God is doing a work in their hearts. Yes, this is a highlight because our daughter, Emily, attends the Institute. 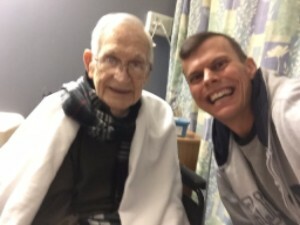 At 93, not only was he saved but had his first selfie! Please pray for Pastor Ice as he will under go another surgery to restore the nerve damage. When we were with Pastor Dennis Daniel at Gulf Coast Baptist Church we experienced our tightest fit yet with parking our trailer (click here to watch a video). By God’s grace and with help from some men in the church we were able to get it in. It was worth all the work to see God do a genuine work in people’s lives and to see a man saved. 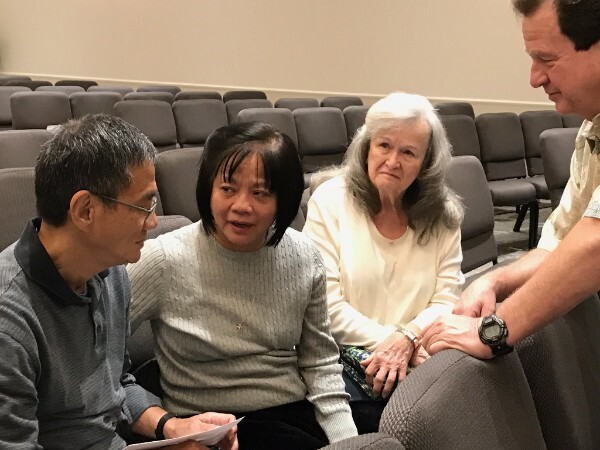 Immediately after trusting Christ he shared his decision with family and friends who brought him. New York City is relatively close to home with an outreach to the world. 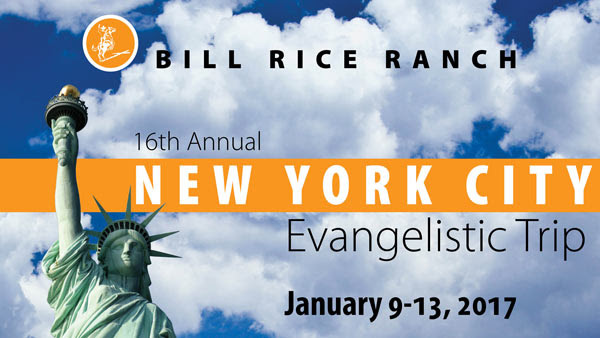 Please pray for our upcoming New York City Trip with the Bill Rice Ranch January 9-13, 2017. If you are interested in going in future years, please contact me. The trip will help you to be more bold and alert in your witness. India has a population of 1.2 billion and contains 1/3 of the world’s unreached people groups. This makes India a vast unreached field. The Lord has been working in my heart about accepting Ken Fielder’s invitation to go with Worldview Ministries to India. Since 2009, Worldview has hosted the Annual Pastor’s Conference. 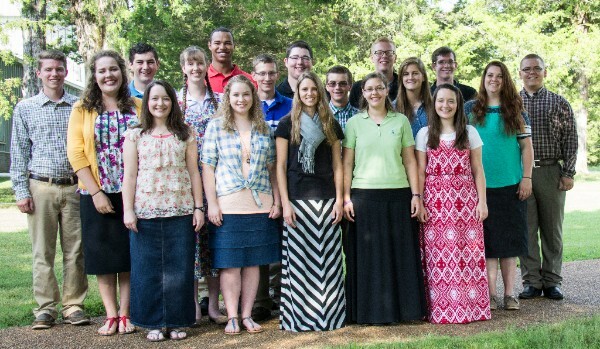 In addition to the 400+ college students, there are about 200 pastors in attendance each year. The goal is to inspire them to passionately fulfill the Great Commission. Imagine the impact that a conference like this could have. Click here to watch a video that explains the need for this project. The dates for the trip are February 24-March 4, 2017. The total support we need to raise for our trips is $4,000. We are stepping out by faith to go on these trips. Would you pray for us and consider making this trip a reality? Is there a relative or friend that you are burdened about their salvation? Will you be sending them a Christmas card this year? 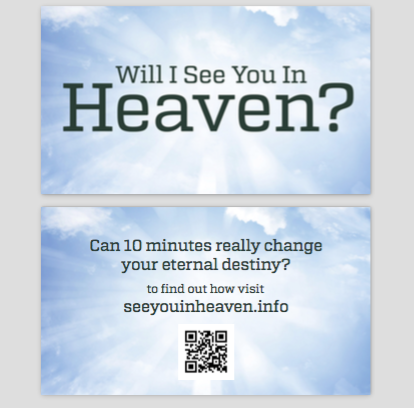 Perhaps you have included a gospel tract in the past. Why not include a gospel DVD? 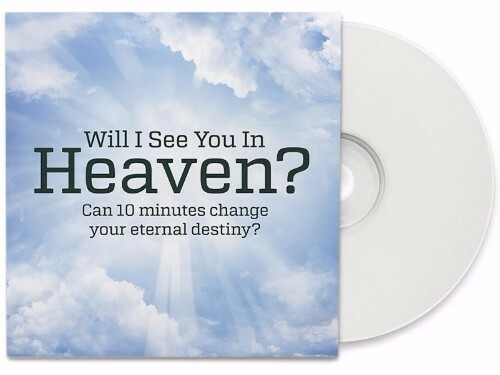 Each DVD has three tracks: Gospel presentation, follow-up steps, and amazing stories. During December all DVD’s are discounted from $5.00 to $2.00. If you or your church would like to get 250 or more they are only $1.00 each. These business size cards with a QR code allows the person to watch the video on their device. These are cards are the perfect size to keep with you all the time. The code will allow them to watch the gospel presentation that is the first track on the DVD. During December the price is only $2.00 for a pack of 50 cards.